The streak continues! 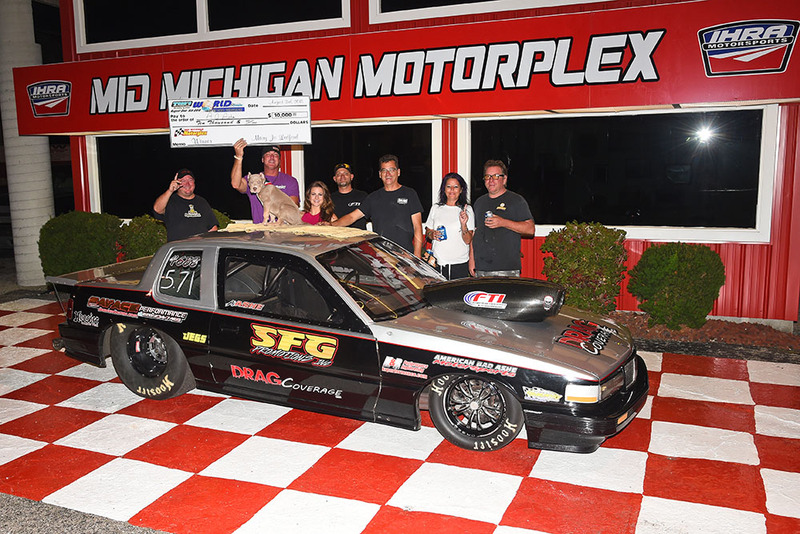 For 24 years there hasn't been a repeat winner of the "Original 50 Grander" in Stanton, Michigan. The 25th year saw Chris Stine out of Silver Lake, Indiana defeat Bradenton, Florida's Troy Williams Jr. for the $50,000 Main Event victory on Saturday Night. Chris Stine who is becoming a regular in the late rounds at Big Bucks events took down Troy Williams Jr in the final round. The drivers left nearly identical with Stine having a slight advantage and a .005 to Williams .006, but it was Stine who landed closer to the dial and .01 over to Williams .02 over. It was nearly an all Ledford final round on Saturday, but Stine took down "young gun" Lane Ledford who was fresh of a $50k win in Martin a few weeks earlier and Williams removed father figure and long time racer Jeff Ledford in the other semi final match up. 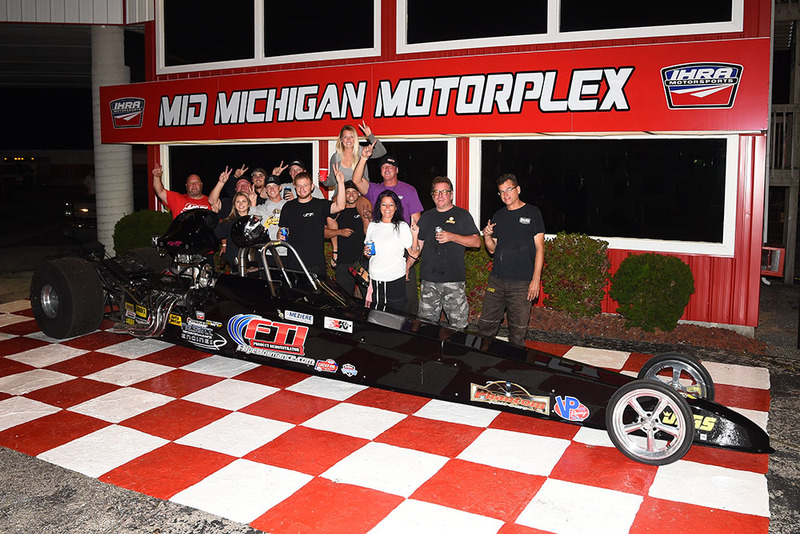 Local Racer Scott Taylor out of Portage, Michigan ran off a string of 4.5x to kick the weekend off on Thursday Night with a big win over local hot shoe Kelly Smith. Taylor's .007 dead on 8 did the job as Smith broke out on the run. AJ Ashe out of Gulfport, Mississippi is no stranger to the Winner's Circle in Stanton. 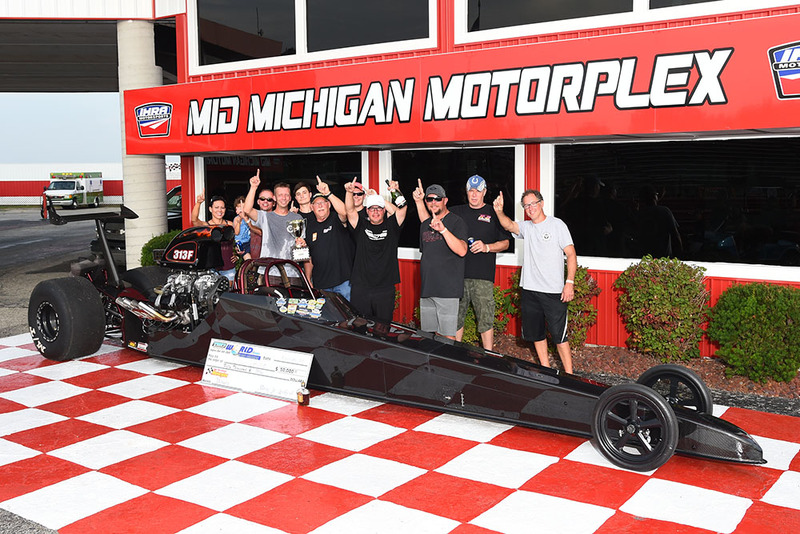 Ashe took his feared door car to another victory when he defeated NHRA D3 racer Pat DeBottis in Friday's $10k with an initiated .004 1 over lap. 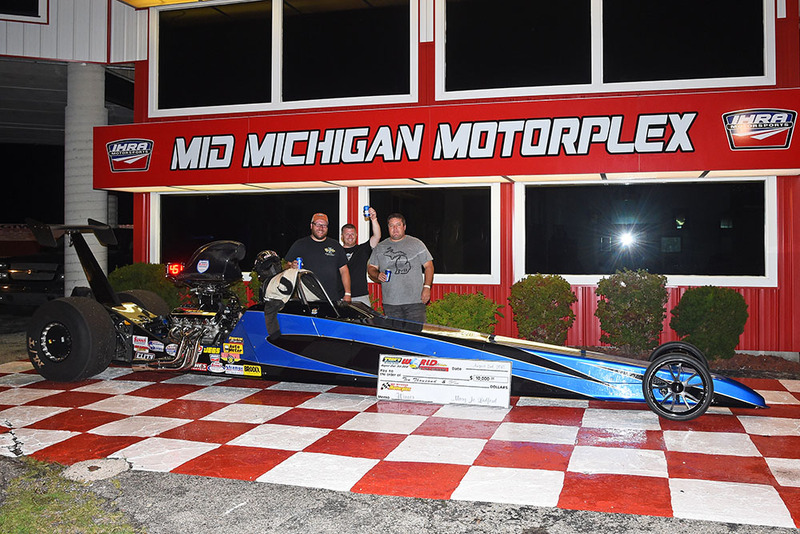 Thursday's Winner Scott Taylor and Mike Bloomfield Jr. were the semi finalists. Jeff Serra made good on his job when he took the FTI Performance "rent a ride" to Friday Nights High Roller Gambler win. Serra defeated Tyler Sizemore when Sizemore turned it -003 red in the final. 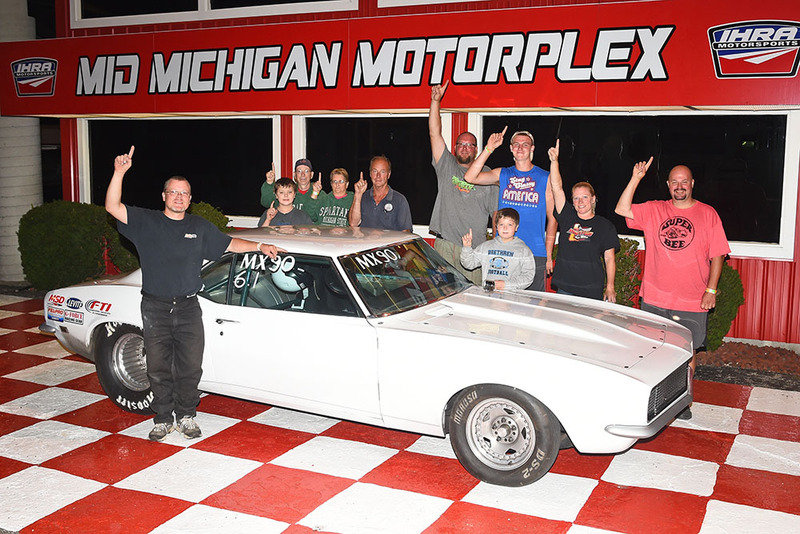 Second Generation racer Corey Mikus got a Big Win when he defeated some of the best door car racers in the country on Friday Night in the All Door Car Gambler. Mikus defeated Kaleva, Michigan's Mike Stokes in the final round. 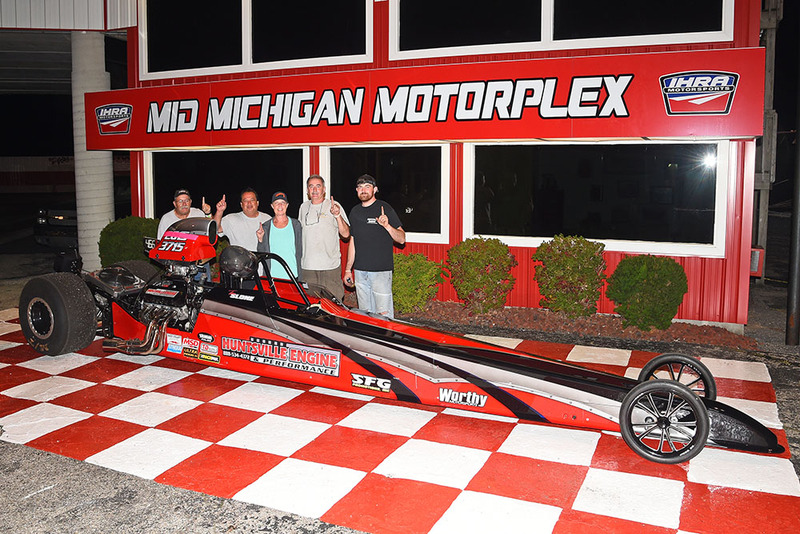 Tim Sloan made the trip north from Columbia, Tennesse in his newly built Huntsville Engines backed dragster well worth it when he won the coveted OVER 50 Gambler on Friday Night. Sloan defeated Pat Debottis who was fresh off a semi final finish earlier that evening in the final round. 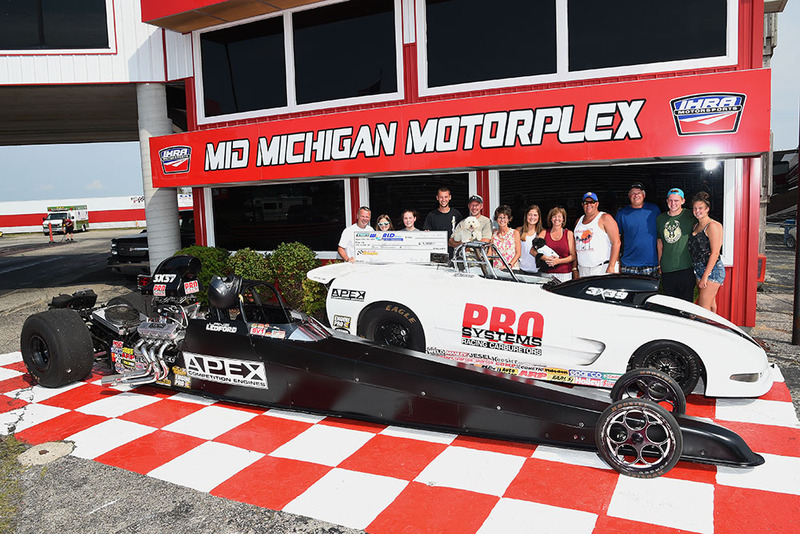 It's always a great weekend visiting the Historic Mid Michigan Motorplex up North in Stanton each year. For 25 years the Ledford family just keeps turning out the Customer Service and new winners. We can't imagine 2019 and the 26th annual World Super Pro Challenge will be any different. Put this one on your list for next year!